​The elite of the elite. ApexDesk is a company well known for creating high-quality desks and they always seem to outdo themselves by every standard possible. From the glossy finish over the deck and the legs to the high level of refinement that’s dedicated to concealing the wiring and most of the electronics on the desk. The Apex desk is an electronic, adjustable desk that boasts a very elegant caliber amongst its already very impressive competition. While the Apex Desk has rather humble origins that begin on the Amazon marketplace, it has quickly grown to become a well-known retail E-Desk. We were particularly interested in trying out the Apex to see how well an up-and-coming product like this would live up to our hyped expectations. The ApexDesk Elite Series 60” standing desk is the next desk in the lineup to review but does this one continue going down the line with the ApexDesk level of quality standards or is it a flop? It doesn’t look like much on first glance but let’s take a deeper look inside to see what kind of features and functionality that this desk comes with. The most valued property of any good desk is the amount of stress it can take before it breaks down. This point is doubly as important when it comes to an electronic desk, which has many moving parts that are all subjected to the weight of the items on the desk. In this review, we take a look at every relevant aspect of the Apex Desk and scrutinize the components to determine if the Apex Desk possesses the constitution to stand up to its competitors as a strong, adjustable gaming desk; or will it fold under the stress of heavy usage? From ApexDesk, this company is no stranger to making high-quality desks. Not only that but the price range also reflects how popular they are because they make high-quality products that a lot of people want. If you notice, most ApexDesk products also have raving reviews and don’t have many people complaining in any form or capacity of the products. Standing desks have long been renowned to improve productivity. Many incredibly talented and notable writers – such as Ernest Hemingway, Charles Dickens and even Winston Churchill we’re known to utilize standing desks. With standing desks making an active resurgence, adjustable desks are starting to affect productivity once again. For us gamers, the adjustable aspect of the Apex Desk is a valuable feature, as we can switch between the two modes whenever it best suits us. 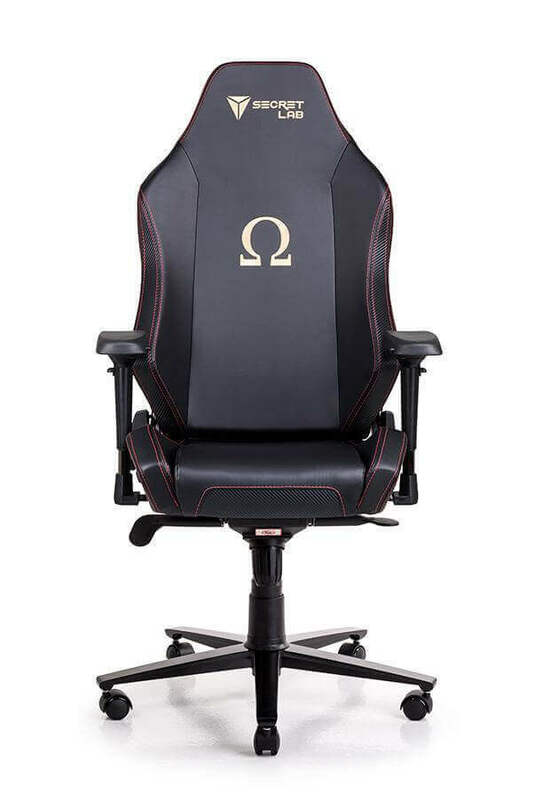 I find that strategy games in particular benefit from a much more attentive posture and the standing desk mode of the Apex Desk encourages a pro-active gaming style. If you’re solely an FPS gamer, you may want to hold off on standing desks unless you also plan on utilizing them for productive tasks. I find FPS gaming on a standing desk to be particularly infuriating and rather stressful in the least, especially so in competitive games. You can safely avoid this desk if you plan on using it for competitive, twitch-based shooters. ​Some users were thoroughly disappointed that this gaming desk doesn’t come with its own cable management tray, something that other ApexDesk products have come with. I honestly never thought I would like a standing desk but I was surprised that I liked this one. It didn’t look too appealing and I stand up for work all day so I didn’t look forward to it but I love this and I actually feel a bit healthier because I spend half my time at the computer standing now as opposed to sitting down all day. The ApexDesk assembly was far easier than reviews were making it out to be. I was expecting a 40-minute struggle but was done in just 10 minutes or so. Once I got it going, I kept moving it up and down because it’s my first electric gaming desk and I was really excited by the concept of it being able to slide up and down on command. One of the biggest benefits you’ll get from this ApexDesk Elite Series desk is that you’ll be able to stand whenever you want and this is something you should do often if you’re someone who spends a lot of time gaming. When you spend a lot of time sitting down, you increase your chance of blood clots and living a sedentary lifestyle isn’t healthy in general, so it’s best if you stand up every once in a while, to get your blood flowing and get the blood moving through the body quicker. You should generally be taking breaks regardless. ​When you’re ordering this particular product, you want to make sure you’re selecting the right frame and the right color scheme because they have a lot of options to choose from and it’s easy to accidentally click the wrong one. Also, make sure this desk has enough room for everything you want to store on it because it’s a smaller version of previous models. Finding a good set of cable clamps and other cable management devices may prove particularly useful as well, as the Apex Desk is very limited on both desk space and cable management systems. There are two cable ports to either side of the desk, but other than that, there are no underbelly features like a bungee net or cable lanes like those found on other adjustable gaming desks in this price range. 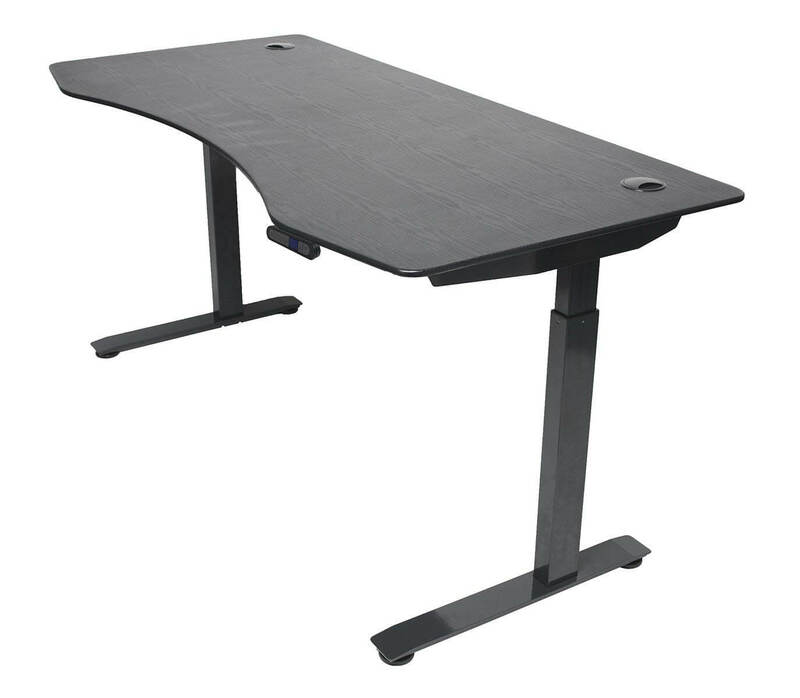 The frame of the Apex Desk shared dimensions and design with many other white-label desk frames; this should make it easier to find suitable accessories to pair with the Apex Desk. Be aware that trying to modify the desk to accept other accessories will void your warranty, and shipping spares all the way from China is going to dig into your time and wallet. We know that the price range can scare some people off because spending that much on a desk sounds asinine but you have to ask yourself, how much are you willing to spend on quality? How much does quality mean to you? When it comes to ApexDesk Elite Series gaming desks, you’re always going to get quality and they always manage to somehow outdo themselves. We’d act now because they don’t have many left in stock.